Samsung made the Galaxy Note 8 official this morning in New York City. As you’d expect, this phone is packed with high-end specifications and features, including a first for a Samsung flagship device — dual rear-facing 12-megapixel cameras with optical image stabilization (OIS). 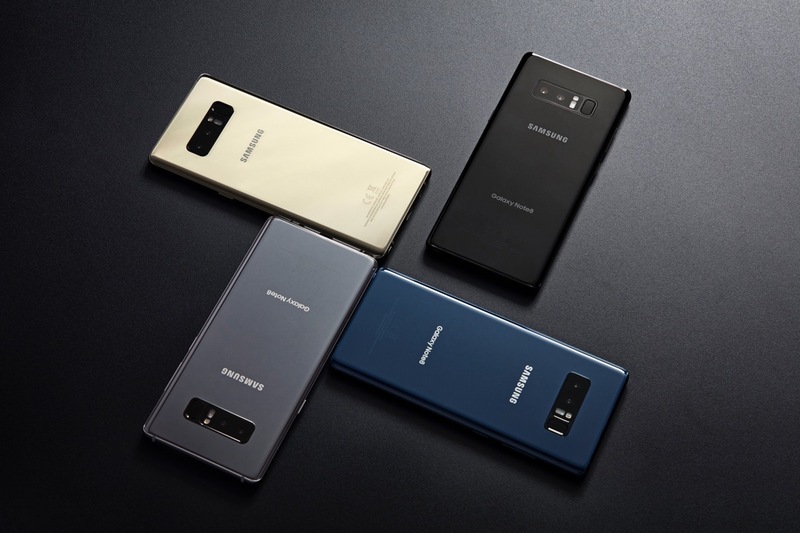 Other changes over last year’s model include that crazy-big 6.3″ QHD+ Infinity display, updated Snapdragon 835 processor, 6GB RAM, updated S Pen functionality, as well as enhanced DeX capabilities. And yes, there’s a headphone jack! As for when you can purchase your very own Galaxy Note 8, it will be available in-store starting September 15. For those who like to pre-order, you can do so beginning August 24. Of course, the Note 8 will be available on all major US carriers, such as Verizon, AT&T, US Cellular, T-Mobile, Sprint, and Cricket Wireless. You can also find it on Samsung’s website, Best Buy, Target, and Walmart. For those who purchase a Note 8 between August 24 and September 24, you’ll get a choice of a free Gear 360 camera or a Galaxy Foundation kit (128GB EVO+ memory card and Fast Wireless Charger). All you’ll need to do is fill out Samsung’s promotions form right here once you have your new phone’s purchase details. So, picking up a Galaxy Note 8? A few specs table has been posted below, in case you missed the official specs post.